Summons and arrests were three times more likely in lower-income communities of color after a high influx of white residents moved in to the neighborhood. Residents of color in gentrified neighborhoods are often policed or arrested for doing normal things because their white neighbors would call law enforcement on them. This has been covered in the news many times and studied repeatedly. However, a new study confirms how white residents can still cause harm to their brown and black neighbors even without going straight to the cops. A new study titled “New Neighbors and the Over-Policing of Communities of Color” reveals that neighborhoods with low-income minority demographics, and a wave of white residents moving in, have experienced an increase in calls to the city’s 311 hotline. The 311 hotline is meant to field non-emergency “quality-of-life” complaints from residents, such as a report of an unsafe pothole or a broken street sign. The study published by anti-poverty group Community Service Society analyzed more than 108,000 NYPD-referred complaints through the 311 hotline in 2017. Almost 87 percent of these complaints were noise complaints. The report also confirmed that police responded to these complaints at least 92.5 percent of the time. 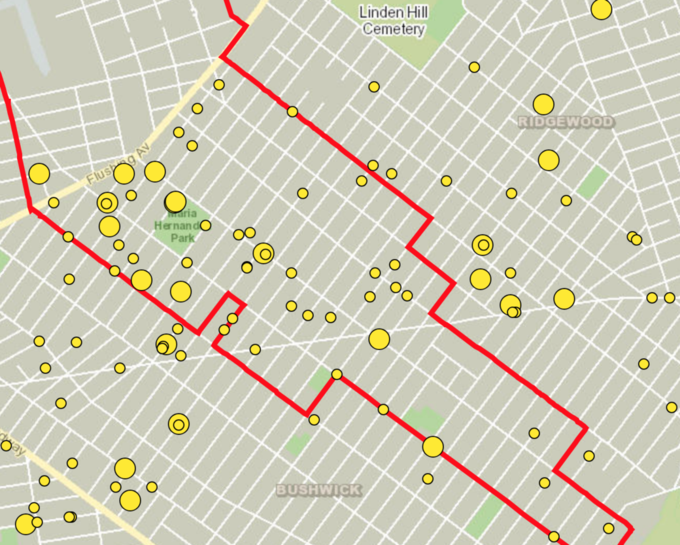 Only 17.5 percent of Bushwick’s population identify as white. 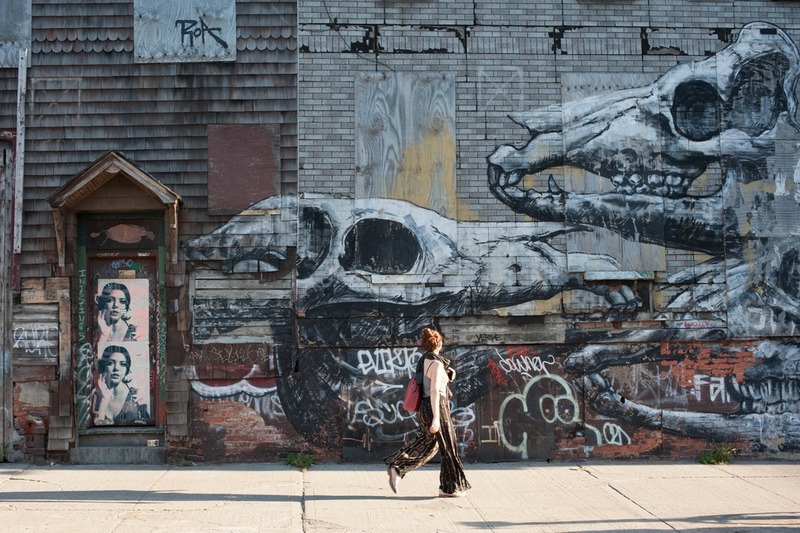 By comparison, 19.6 percent of Bushwick residents identify as black and 55.4 percent identify as Hispanic. Neighborhood “loud noise” complaints—usually code for instances when residents of color get together outdoors, making some white residents nervous—can lead to over-policing of minority residents. Noise complaints from 311 website. It’s not just about numbers, it’s also about the experience of residents of color. Researchers compared the numbers with surveys on residents’ views and experiences with the NYPD. They found that summons and arrests were three times more likely in lower-income communities of color after a high influx of white residents moved in to the neighborhood. Brooklyn areas that reflected this trend include Bushwick, Bedford-Stuyvesant, Crown Heights, Lefferts Gardens, and South Williamsburg. Cover photo courtesy of Manny Moss.